Steve Immel Photography: The Russians are coming. The Russians are Coming. The Russians are coming. The Russians are Coming. 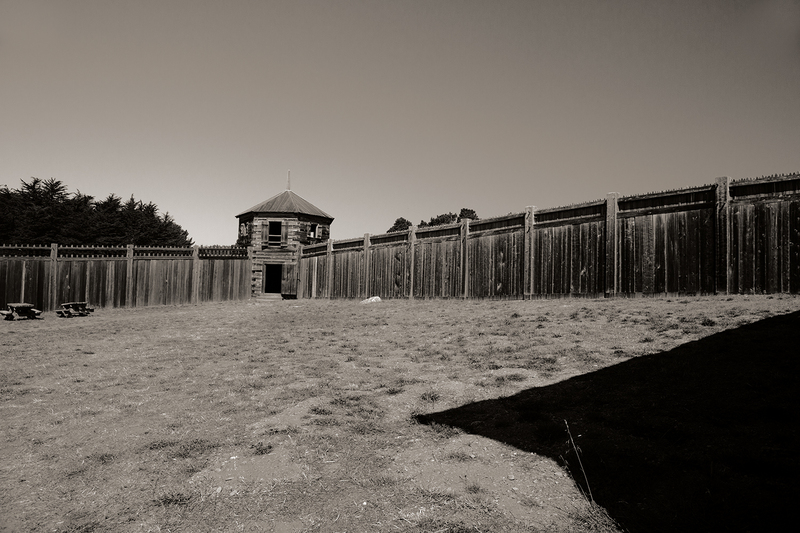 Inside the stockade where the Russian born leaders of the expedition worked and lived. The Czarist explorers from Alaska recognized prime oceanfront property when they saw it. The year was 1812. Their contingent arrived on the northern Sonoma Coast where green pastures slope to the Pacific and towering Redwoods climb the hillside toward Cazadero and down the other side to what is now Guerneville and the aptly named Russian River Valley. They named their settlement, Fort Ross. The original manifest lists 25 Russian craftsmen and 80 native (mostly) Aleut sea hunters; natives of the Aleutian Islands that are strewn for 1,100 miles along the Bering Strait between Alaska and Siberia. 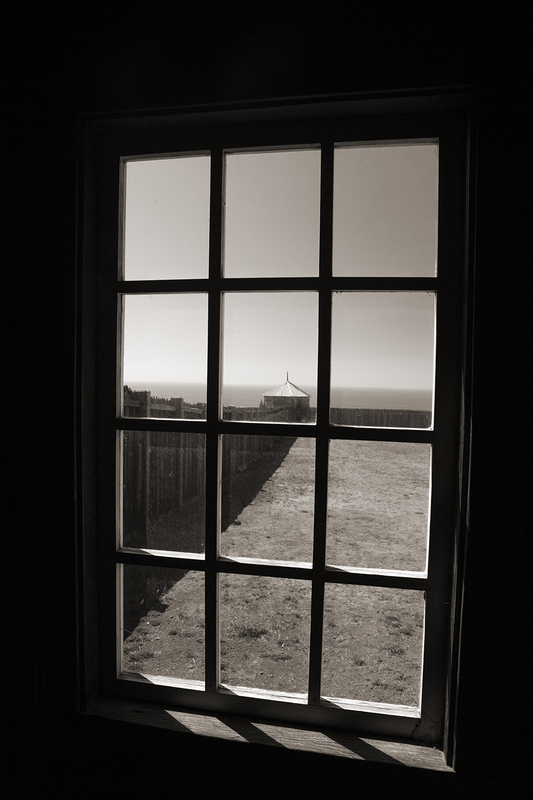 A window to the Pacific. 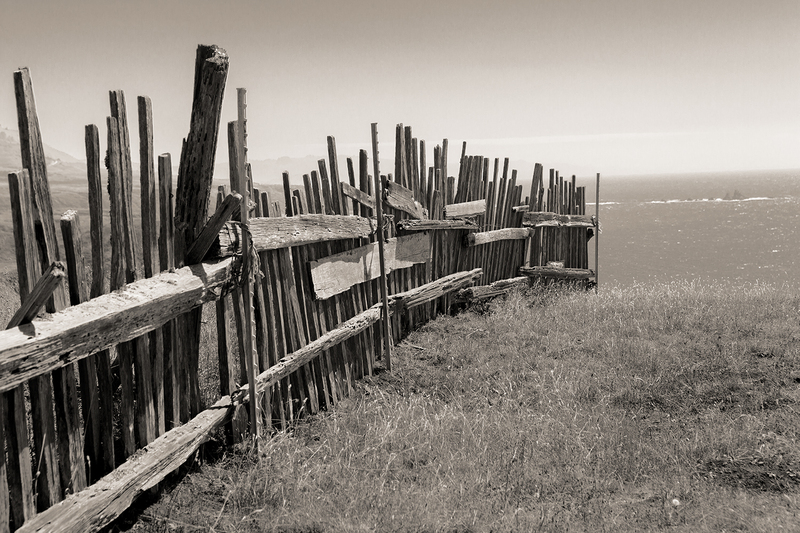 At Fort Ross the settlers were greeted by another first nations community, the Kashaya Pomo. The Kashaya called the Aleut hunters “Underwater People” because their boats sat so low in the water. The Alaskan sea mammal hunters traveled great distances across rough open water in their tiny boats to hunt for sea otters and fur seals. As in Alaska, many colonists were mixed race or “creole.” Mixed Russian/Alaska Native or Russian/Californian boys were apprenticed in trades or sent to Russian for their education. In return the boys pledged 10 years of work with Russian American Company at Fort Ross and elsewhere. 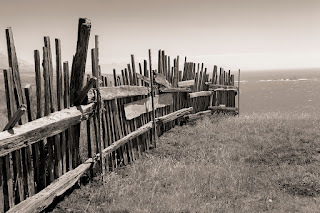 On a bluff between the fort and the ocean a fence bends toward the surf 100 feet below. In 1820, 53 percent of the adult population of 260 were Alaskan natives. Alaskan Native workers were initially marine mammal hunters but later became coopers, tanners, carpenters and sawyers. But at their core the Alaskan Natives were skilled hunters and it was those very talents that caused the eventual disruption of their native cultures. Unable to master these remarkable hunting skills themselves, the Russians captured, coerced and enslaved much of the native population for the procurement of seal skins and the highly prized pelt of the sea otter. By 1839 the Russians had tired of their southern adventure. In 1841, Swiss pioneer, John Sutter, who had built Sutter’s Fort in Sacramento, bought the Russian enclave with a promissory note he never paid. My first visit to Fort Ross came nearly 70 years ago when I was a camper at Camp Cazadero nestled in the redwoods some 13 miles to the east. At that time I would have lived in Oakland or San Leandro. More precision escapes me. 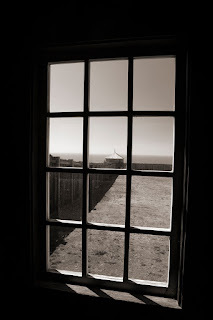 Thanks for the post about Fort Ross. It is an amazing place for many reasons which you addressed in the excellent text but also because the wooden structures have more or less survived. It helps that the ocean air helps keep it moist. I love the image of the fence on the bluff going down to the sea, and the long shot of the fencing and tower of the fort itself. Such great history and photos to match, Steve. Thanks, Daryl. It's such a marvelous spot.